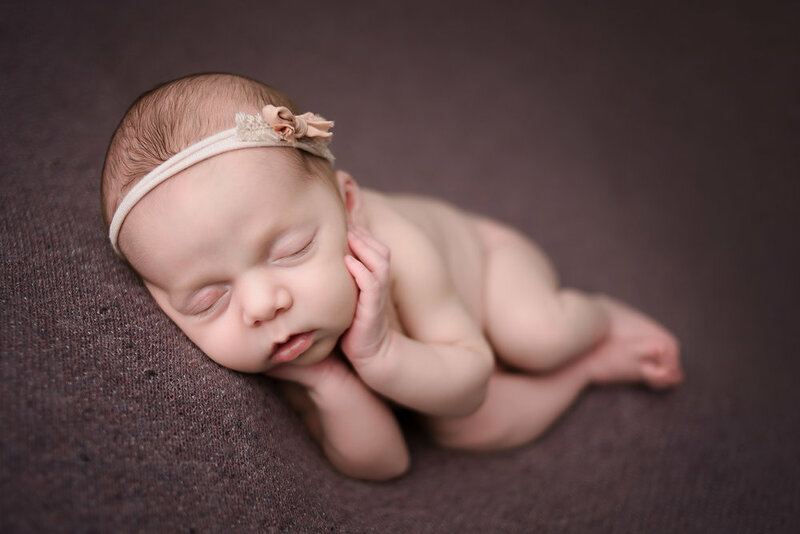 Sweet little Bay finally made her way into my studio a few weeks ago. 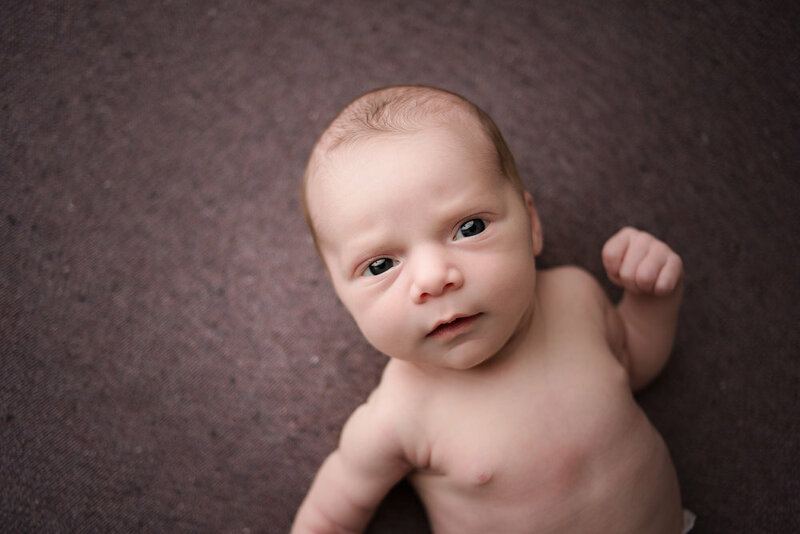 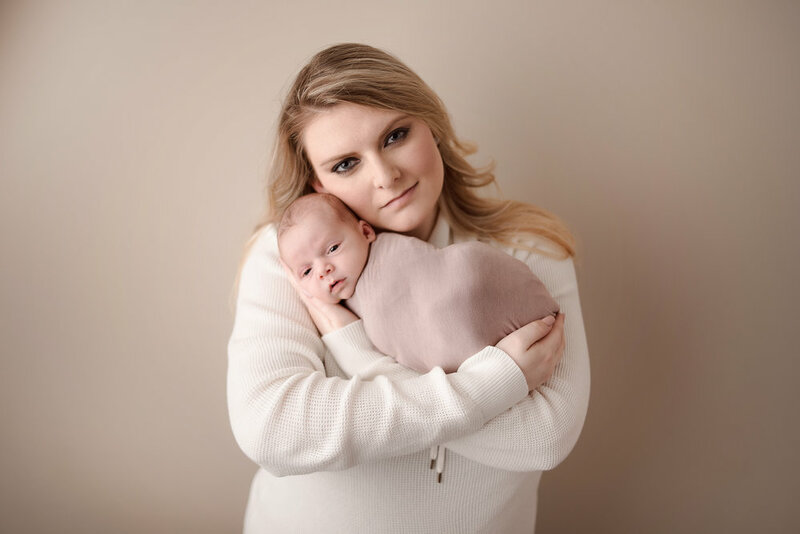 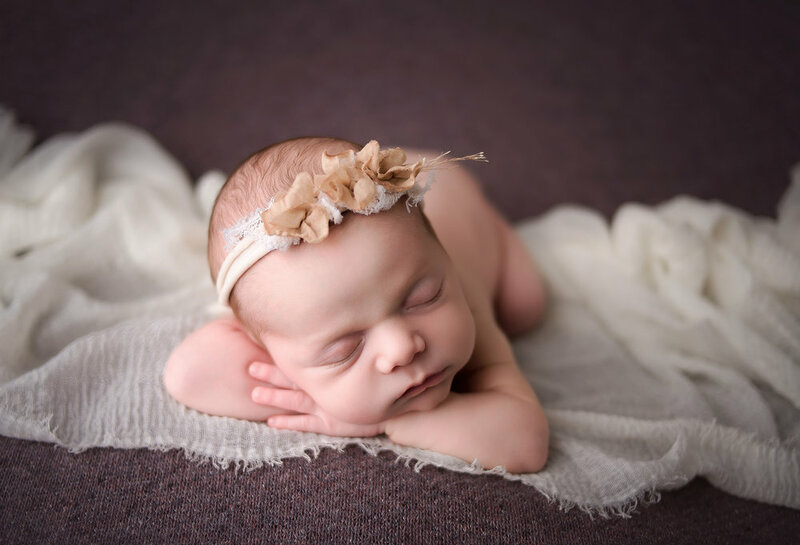 I had previously photographed her Fresh 48 session in the hospital about a month ago and it always amazes me just how much newborns change within those first few weeks of life. 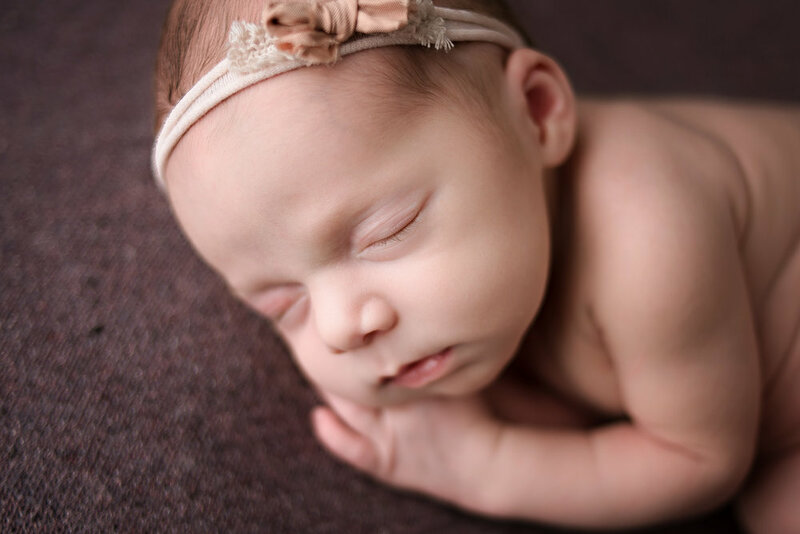 Even between meeting her in her hospital room to the time she came for her studio session, she looked so much different! 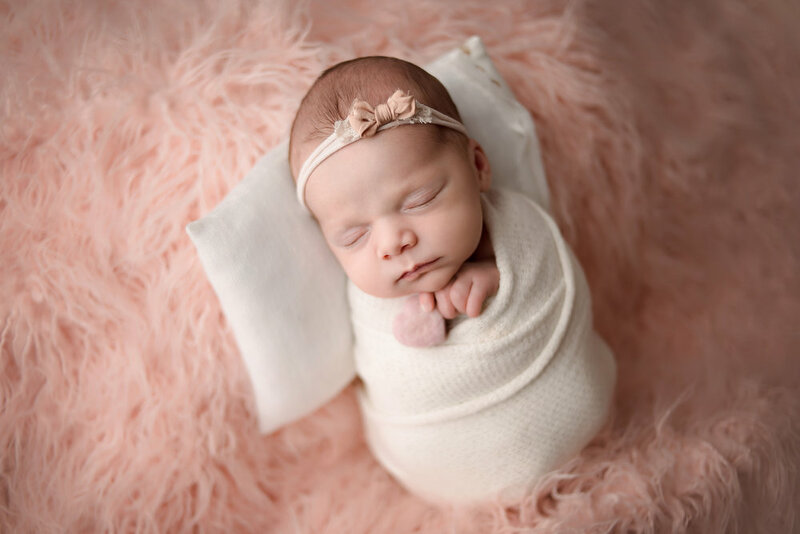 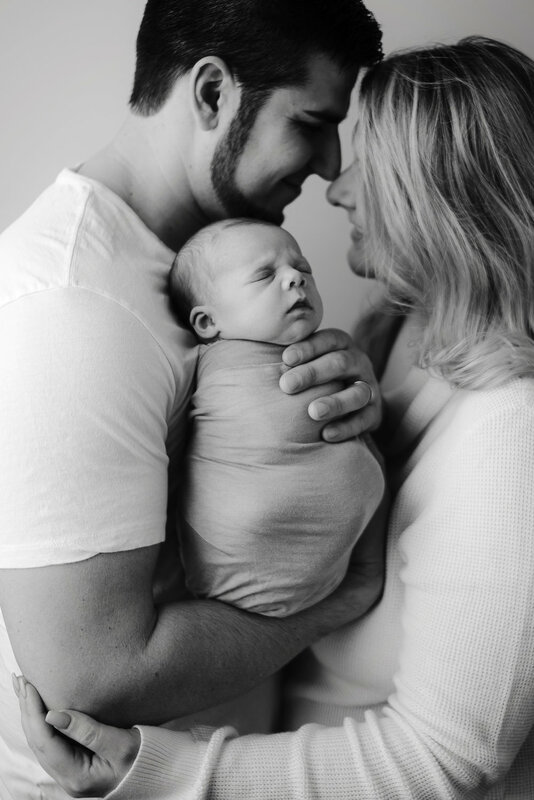 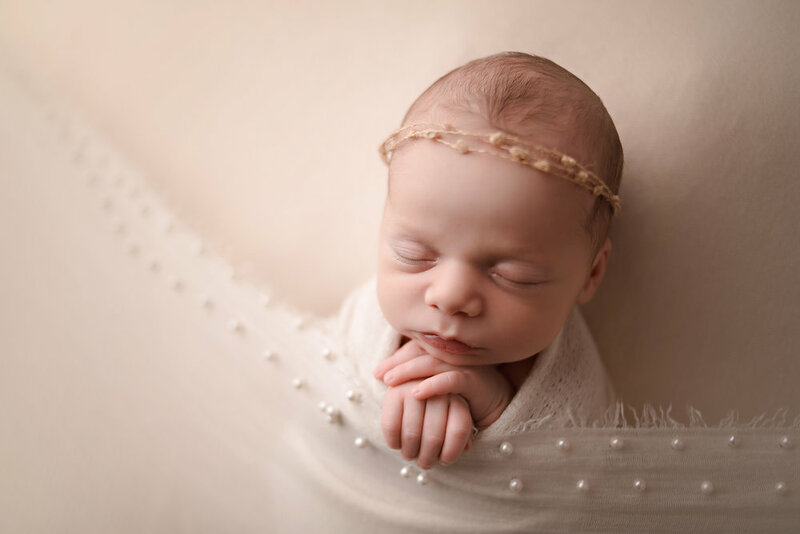 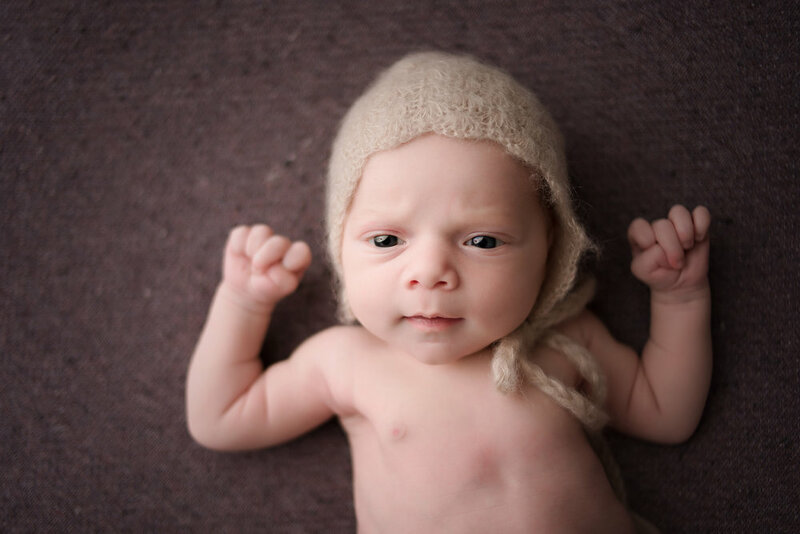 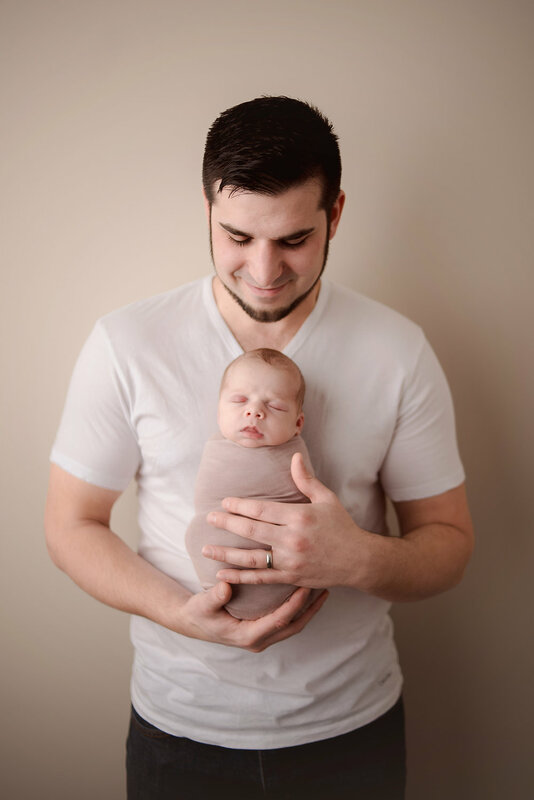 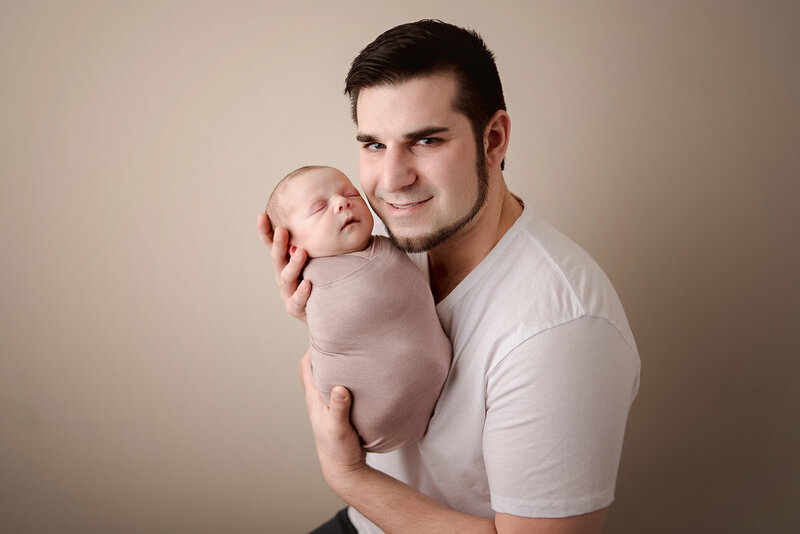 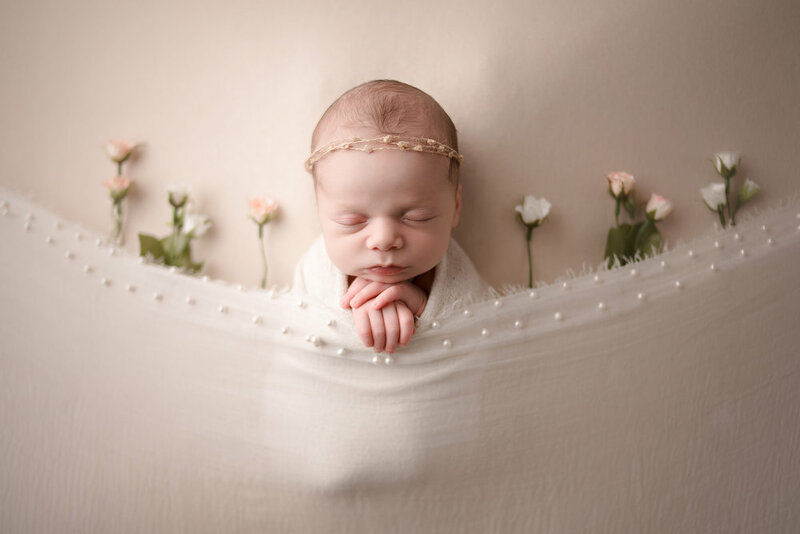 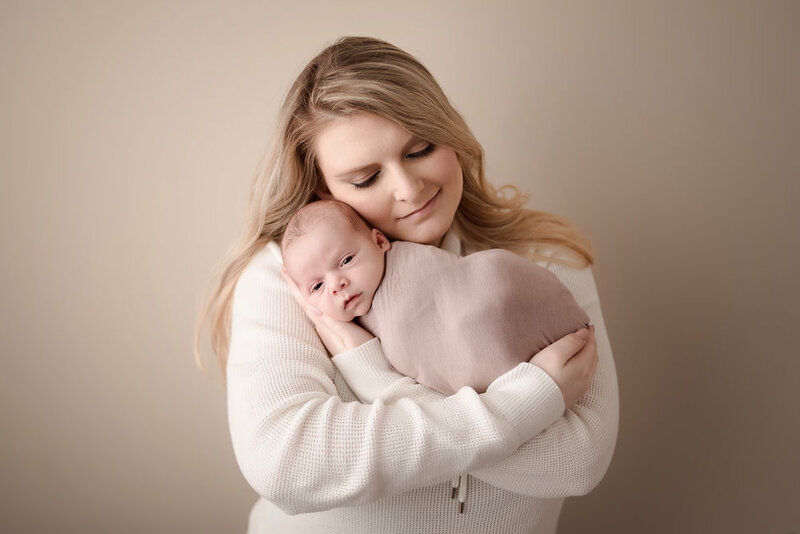 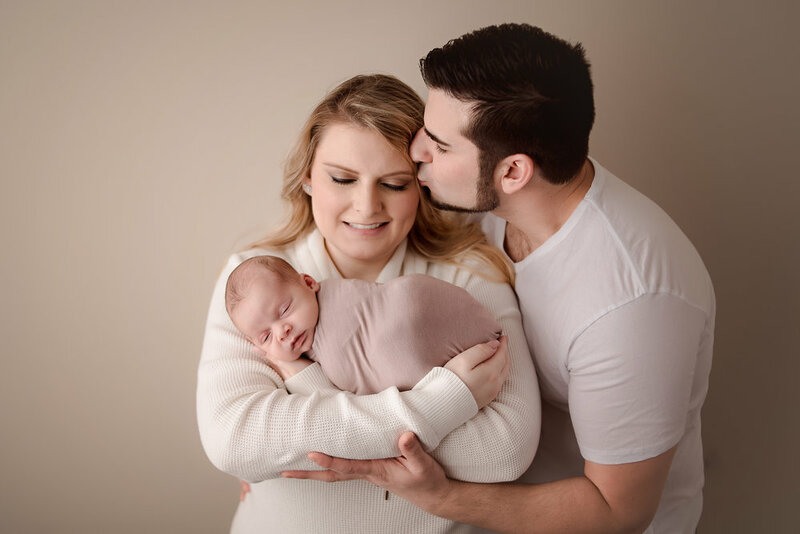 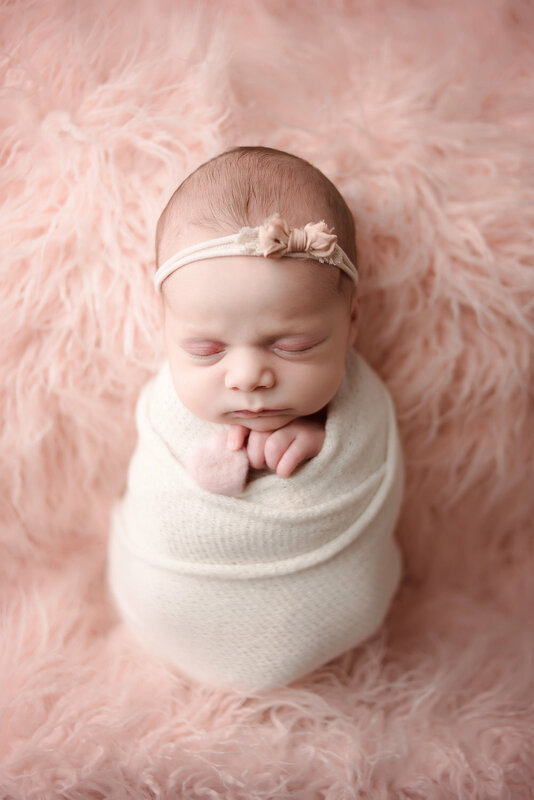 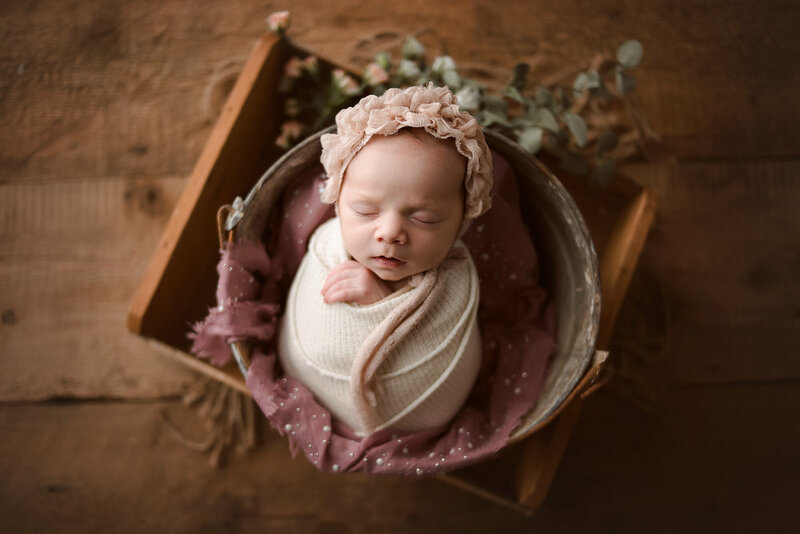 I had such a great time with these images; I’ve been investing a lot of time and money lately into learning new techniques to add to my newborn photography and it’s been a lot of fun to put these newly learned skills to use. 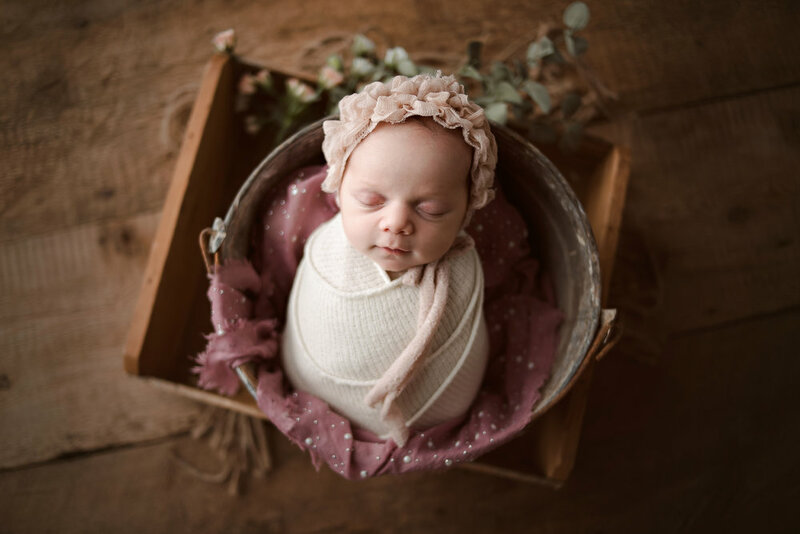 I can’t wait to see Bay back with her parents in just a couple of months for a spring apple blossom sessions!